Approximately half of the Norwegian BEV registrations in March were due to the Tesla Model 3 (5,314). This means that roughly every third new car sold in Norway was a Tesla. The Tesla brand clocked up 5,822 new registrations, making it the most popular brand in Norway and ousting the Nissan Leaf, which held the previous EV record of 2,172 in March 2018. Norway has been a leader in the introduction of electric vehicles. Despite not being a part of the European Union, Norway will now be included in the overall CO2 emissions figures with their European neighbours, who, with the exception of Netherlands, have generally been pretty slow on the uptake of electric vehicles. This means that, in the face of EU emissions targets, the overall uptake of electric vehicles may be collectively tallied in Europe with the inclusion of Norwegian figures, which saves car makers from large fines if their EV sales figures are not high enough. So everybody is likely to be happy about these new numbers, one way or another. Despite all the joy, supply is lagging behind demand in Norway. 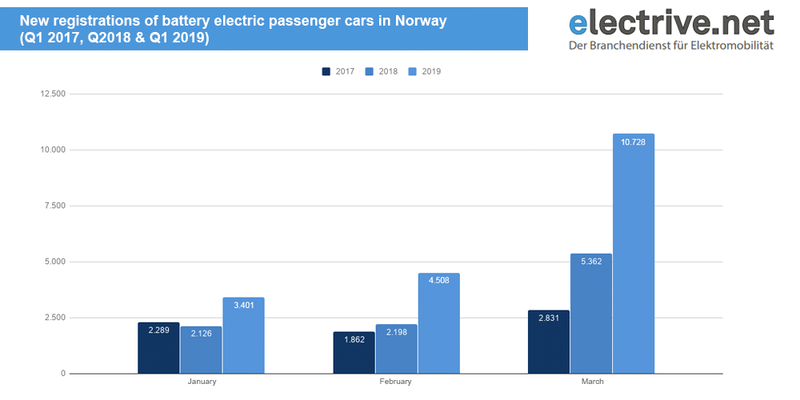 The Norwegian electric car association “Elbilforening” criticises long waiting lists for electric cars and against this background even sees the lack of supply endangering the government’s targets of achieving exclusively emission-free new registrations in Norway by 2025. 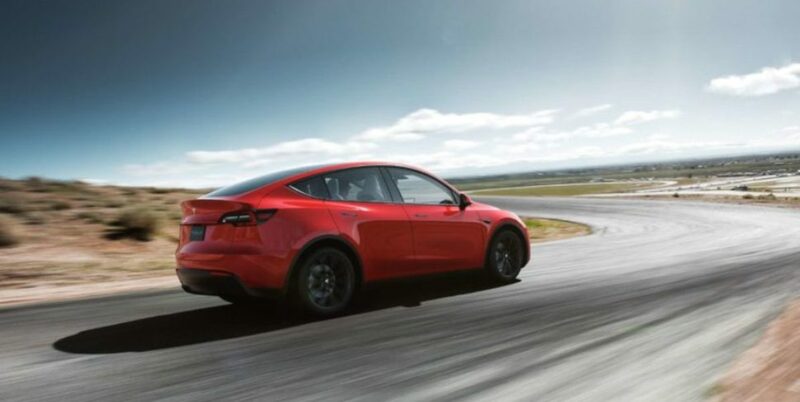 The above-mentioned association even goes so far as to claim that some carmakers in Europe are deliberately holding back their zero-emission vehicles until next year. This would benefit the European carmakers because of stricter EU fleet limits of 95 grams of CO2 per kilometre applying to all newly registered cars in 2020, meaning car makers want to optimise their figures in that year to avoid prospective fines for unmet quotas. However, this does not apply to Tesla, which makes you wonder if their commitment to supply has been responsible for the incredible uptake of Model 3s in Norway.